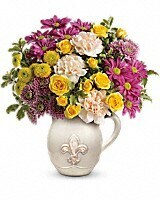 Teleflora's French Fancy Bouquet - by West View Floral Shoppe, Inc. 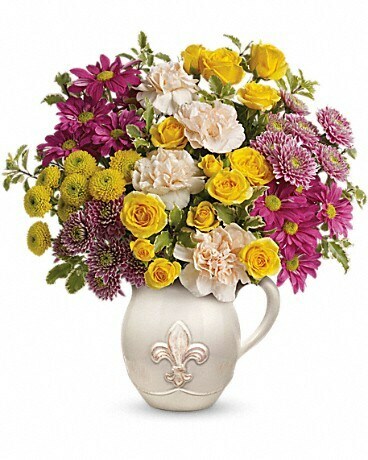 Bold and beautiful - yellow spray roses and peach carnations are a bright contrast to the lovely natural Fluer-de-Love Pitcher. 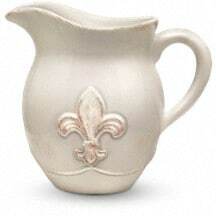 The fleur-de-lis detailing on this keepsake will make for an extra special Grandparents Day gift.